Fit~n~Fabulous — Sisters e S.T.E.A.M. Everyone knows that if you look good you feel good. This summer, some of the sisters made a pact to get fit so that they could start the school year as fabulous as possible. The increased physical fitness has helped increase our energy levels, reduce stress, and more importantly help to boost our self-esteem. As we embark on this healthy journey together we can conquer anything! Why? Because we are Fabulous and soon to be FIT! Each year, Sisters e S.T.E.A.M. has a special closing event. This year, we travelled to Ohiopyle. 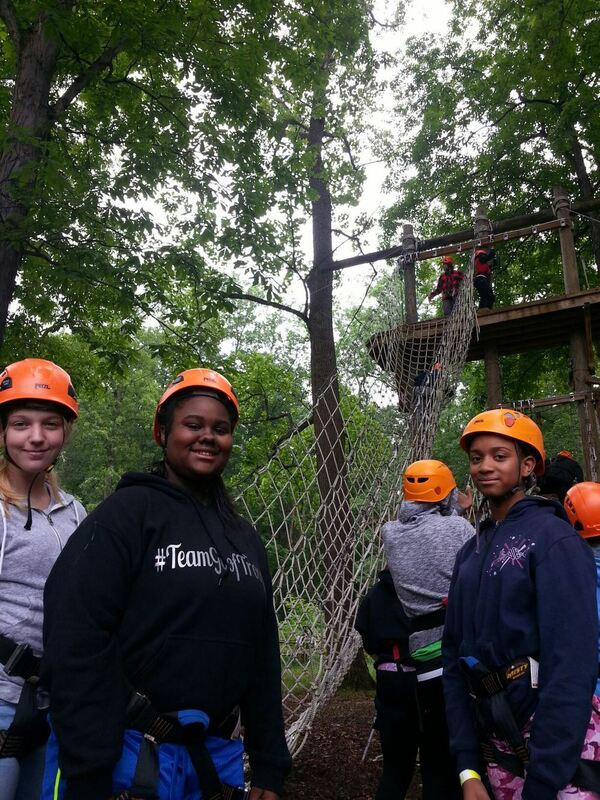 During this fun filled and challenging day, we tested our own limits by zip lining and white water rafting. As with any SE event, there is always a focus back to who we are as women and our core worth. Through rafting we learned that something's you just can't do everything on your own and together we often must analyze and strategize to get the job done. Collaboration is a key part of being successful in life.